Dr. Russell-Little is board certified by the American Board of Internal Medicine and has been practicing medicine for the last 13 years. 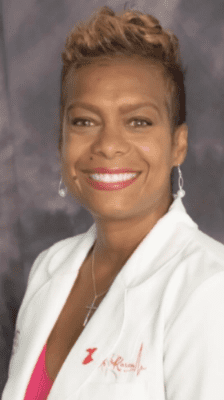 After receiving her Master’s of Science in Public Health, Dr. Russell-Little went on to graduate from Wayne State University School of Medicine with a Doctor of Medicine degree in 2001. She has since been involved in several volunteer organizations, both nationally and within her local community in Bloomfield, Michigan. Dr. Russell-Little is dedicated to treating each one of her patients as an individual, helping to guide you not only through your healthcare issues, but doing so in an educational and collaborative way. At the end of the day, Dr. Russell-Little wants to make sure that you understand and agree with the individualized care plan she creates for you; it’s important that you’re both on the same page. With Dr. Russell-Little’s expertise, compassion, and positive attitude, she can help set you on the right path to living your happiest, healthiest life.